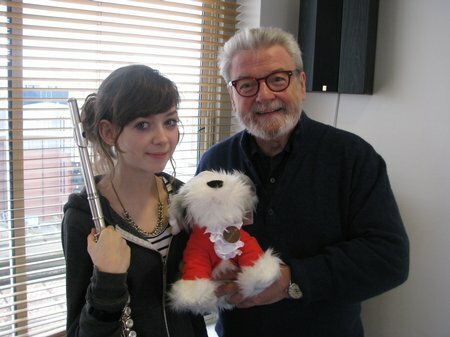 Sir James with 13-year-old Hattie Matthews, whose grandfather bid for a flute lesson in The Classic FM Foundation's Christmas Charity Auction. Sir James and his wife Lady Jeanne Galway, also a renowned flautist. Photo by Paul Cox.